Under that bottom pink rose I insert a longer stem going straight down, inserting it into the bottom of the foam cage of the holder. This establishes the cascade portion of the bouquet. 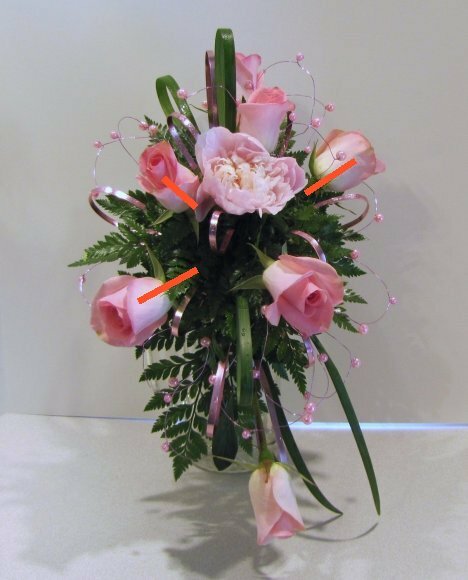 There are more open spots in the bouquet that you can begin to fill in. 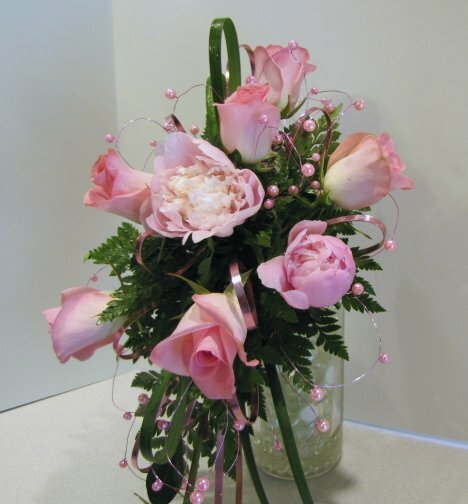 Don't be too perfect in your placement of more roses. 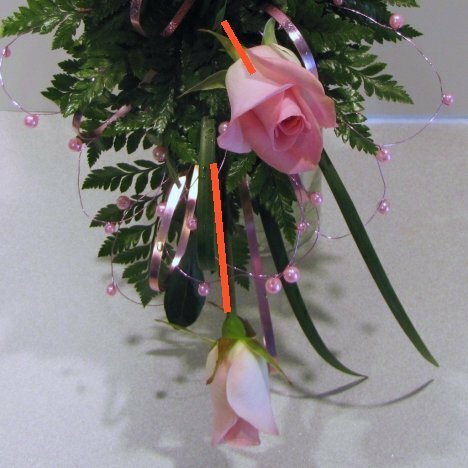 The outer roses should face out towards the sides of the bouquet. Here's a view from the left side. 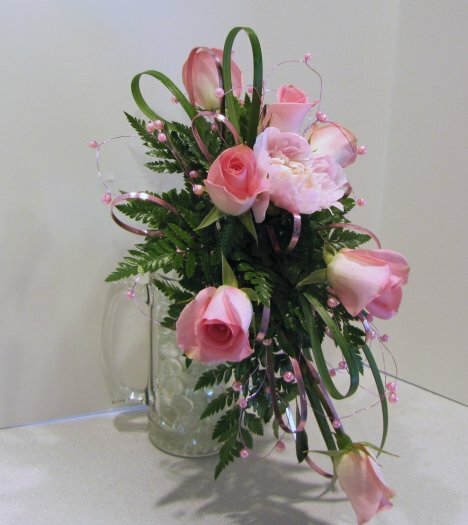 Bouquets should be viewed frequently from all angles. 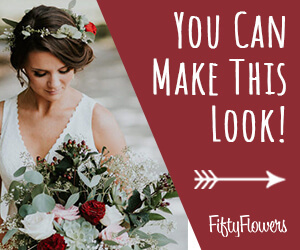 Keep in mind that your seated guests see the bouquet from the side and flower heads should be open and facing towards them to prevent a flattened look. 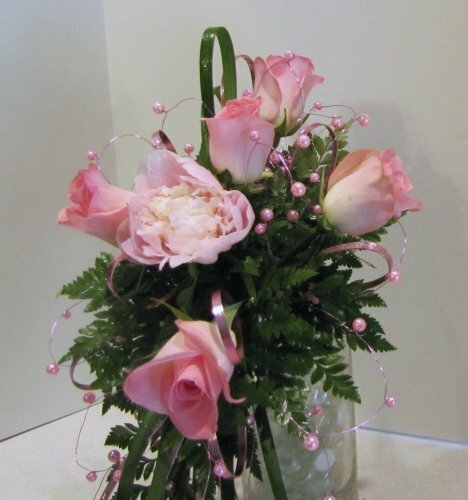 Peonies can be inserted when they are still tight balls. They will open up in the warmth of the day.